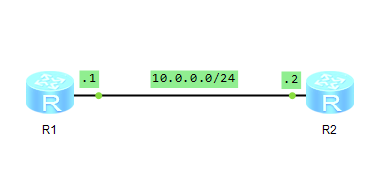 Why can’t we see neighboring router in ARP table? Because subinterfaces for VLAN tag termination discard broadcast packets after receiving the packets. A packet can be forwarded, without ARP broadcast on the subinterface for VLAN tag termination, if the access device can send ARP packets. If the access device cannot send ARP packets, the system discards the packet, when the arp broadcast enable command is not run on the subinterface for VLAN tag termination. The system tags an ARP broadcast packet and forwards it through the subinterface for VLAN tag termination, when the arp broadcast enable command is run on the subinterface for VLAN tag termination.